October 12, 2004 -- Today the Pittsburgh Post-Gazette published several substantial pieces about current issues relating to nursing uniforms and the nursing image generally. They include the very good lead article c by Virginia Linn, and Ms. Linn's "Nursing advocate bringing message of profession's value here," a profile of the Center and its director Sandy Summers as she arrives to take part in an Oncology Nurses Association media summit this week. The lead article outlines the current debates within the nursing community about what is an appropriate uniform, at a time when many patients have trouble determining which of the many different hospital staff they see is actually a nurse. The piece describes a trend at some hospitals in Pittsburgh and elsewhere to return to a version of the traditional white uniform, and ends with a discussion of the "ideal" uniform and the RN patch that emerged from the recent uniform exhibit at the Fabric Workshop and Museum in Philadelphia. The story includes quotes from University of Pittsburgh Nursing Dean Jacqueline Dunbar-Jacob, nursing executives at Pittsburgh hospitals, and Center director Ms. Summers. The profile of the Center and Ms. Summers outlines some basic aspects of the Center's work, with a focus on recent campaigns protesting harmful media images such as the Skechers Christina Aguilera ad and a "Jeopardy!" question that "hit nurses like a wet snowball in the face." The Post-Gazette also published two unsigned related stories. 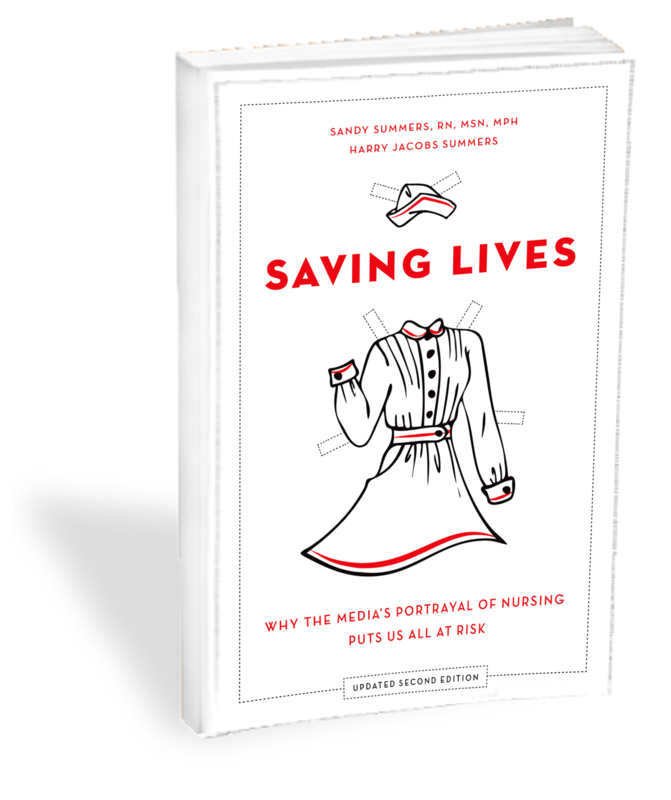 One is a short excerpt from an April American Journal of Nursing piece by University of Pennsylvania doctoral student Lynn Houweling about the historical evolution of the nursing uniform, entitled "From long gray dresses to lab coats and scrubs." The other is a listing of 43 local nurses being honored with the University of Pittsburgh School of Nursing's annual "Cameos of Caring" awards. Though the item does not include detailed information as to each honoree, we were encouraged by the inclusion of a category for advanced practice nurses, and by the identification of each honoree with his or her area of specialization and workplace, suggesting that the nurses are being honored at least in part for their skilled work, and not solely for personal qualities. "From long gray dresses to lab coats and scrubs".